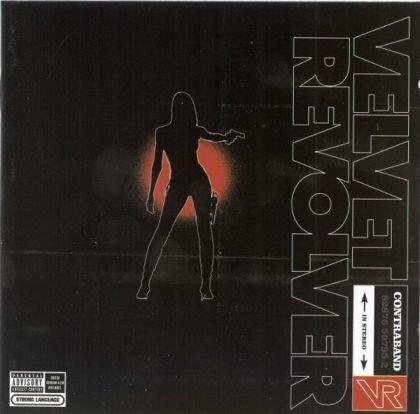 Velvet Revolver is an American hard rock supergroup consisting of former Guns N' Roses members Slash, Duff McKagan, and Matt Sorum, alongside Dave Kushner formerly of punk band Wasted Youth and Stone Temple Pilots vocalist Scott Weiland who left the band in 2008. In 2004, the band achieved commercial success with their debut album, Contraband. Despite positive reviews, some critics initially described Velvet Revolver as a mere combination of Stone Temple Pilots and Guns N' Roses, criticizing them for a "disconnection" between Scott Weiland and the rest of the band. With their single "Slither", they won the 2005 Grammy Award for Best Hard Rock Performance. The band released Libertad in 2007, driven by the release of the single "She Builds Quick Machines", and embarked on a tour with Alice in Chains. In April 2008, Weiland left Velvet Revolver and reunited with Stone Temple Pilots. Velvet Revolver was put on indefinite hiatus in April 2008, and in November of that year, the band was released by their record label RCA Records at their request to allow them "complete freedom to go through whatever process it would take to accomplish" replacing Weiland. The release of Slash's self-titled debut solo album and Duff McKagan's addition to the Jane's Addiction lineup seemed to put the future of the band in doubt. However, McKagan left Jane's Addiction a few months after joining. Velvet Revolver then wrote new songs and briefly auditioned singers before once again resuming their hiatus, although reunited with Scott Weiland for a one-off reunion show on January 12, 2012 at a benefit concert.